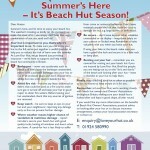 Love Your Hut are pleased to partner Beachhuts4hire. 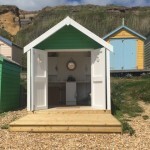 Click here to check out their website to hire or buy a beach hut. “It was lovely to meet Matt on Wednesday and I know you had had a very long journey so it’s even more appreciated. I really am so happy to have won, it really means a lot to us all and we will display our Love Your Hut plaque with pride. Thank you too so much for our lovely hamper, Lily particularly loved the lemon drizzle cake! We also look forward to seeing the calendar.” – Rebecca Munson. “It was nice to meet Rebecca and her daughter Lily. It’s clear to see when seeing their hut up close that a lot of work and love has been put in to it over the years. From talking to Rebecca, it is also great to hear that their hut is used by as many friends and close family as possible – even if they can’t be there themselves! 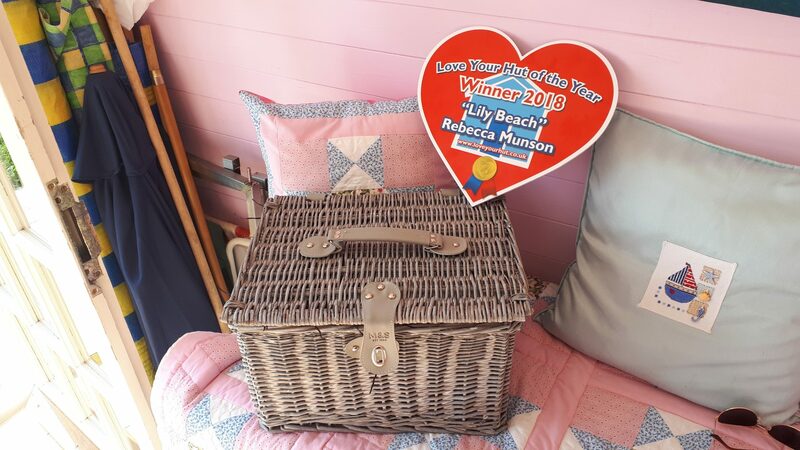 Lily Hut is very much the deserving winner of our Love Your Hut of the Year 2018!” – Matt Briggs, Love Your Hut. See all the entries at instagram.com/loveyourhutoftheyear. 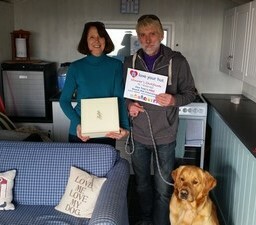 2nd in our Beach Hut Competition was Debbie Maartensz, with her Hut 129 Avon Beach. The Hut has been enjoyed by 4 generations of the family and many friends too. The Hut is used all year – even on Christmas Day! The Hut is used in the Summer for digging in the sand, swimming in the sea and plenty of BBQs. In Winter, the Hut is used for people watching and drinking tea and coffee. Debbie has previously entered our Competition and is a deserved 2nd Place this year. 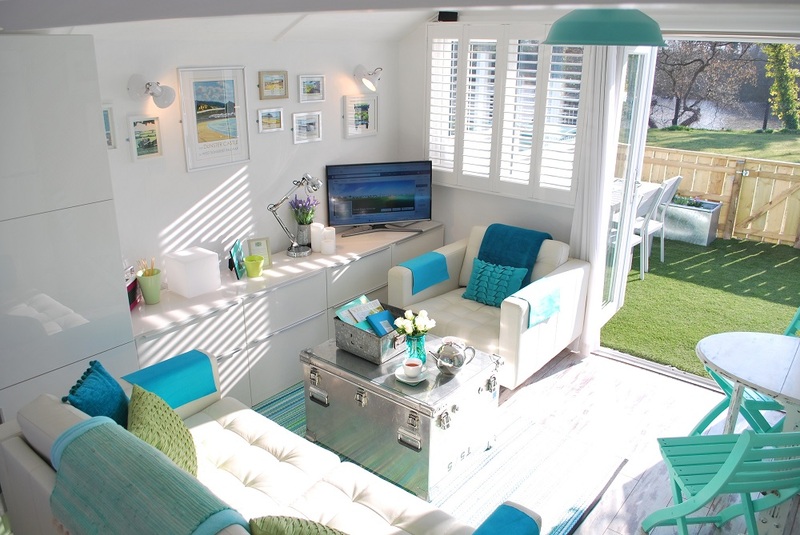 3rd in our Beach Hut Competition was Brett Bates, another previous entrant into our earlier Competition(s)! 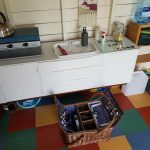 Salad Days is Brett’s Chalet at Dunster Beach. It was bought in 2015, stripped back, completely refurbished and is now his pride and joy. Salad Days was a clear 3rd place after the judging had been finished. It’s time to think about taking care of your hut for the Autumn months. 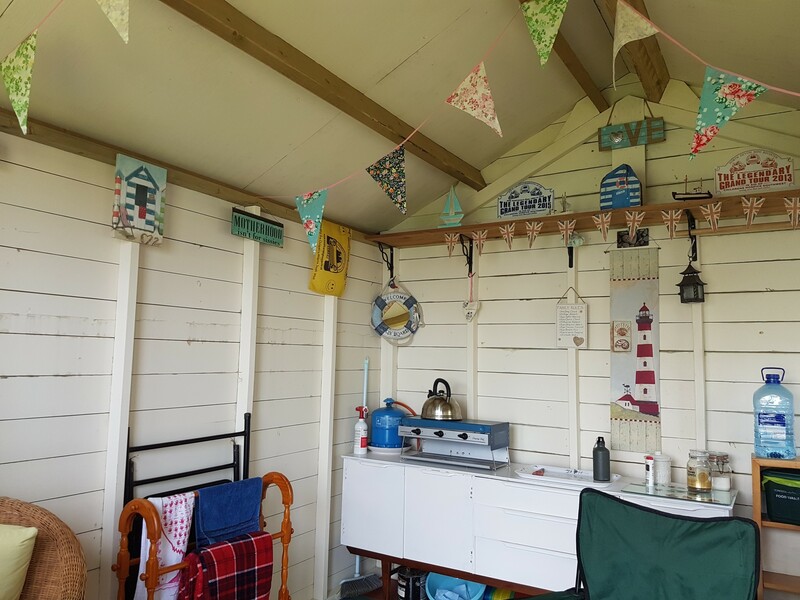 We’ve produced a handy list of hints and tips to help you keep your beach hut or chalet safe, secure and in good condition, to protect it from the “great” British weather. 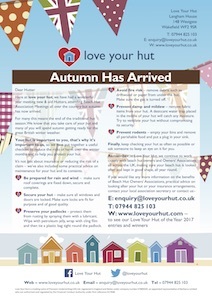 Simply click on the picture to view or download Love Your Hut’s Autumn Newsletter. It’s certainly been a fantastic summer to enjoy your hut. 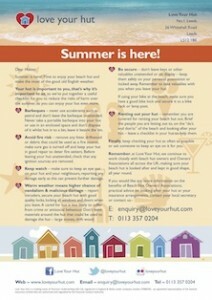 Love Your Hut is not just about insurance! 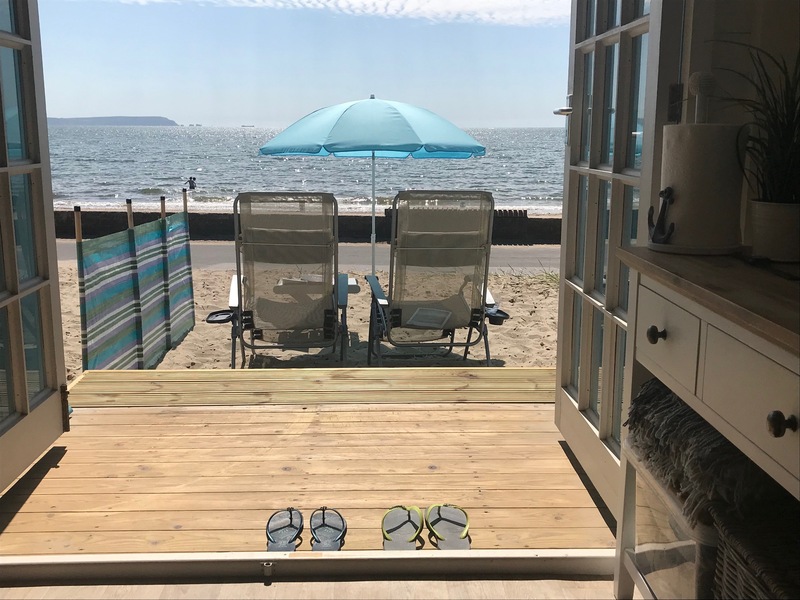 We’ve produced a handy list of hints and tips to help you keep your beach hut or chalet safe, secure and in top condition throughout the season. 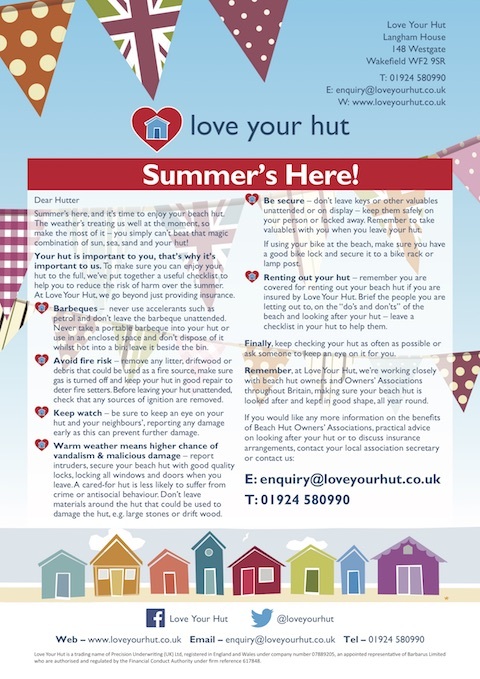 Simply click on the picture to view or download Love Your Hut’s Summer Newsletter 2018. 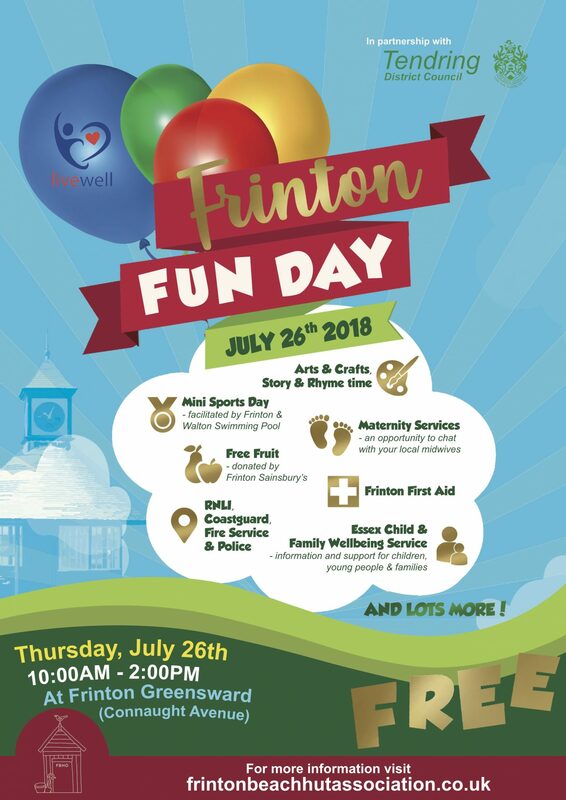 Love Your Hut was proud to attend the Frinton Fun Day on the 26th July 2018. The weather was fantastic for the 1000 plus visitors who attended. The widely advertised event was a great success and overwhelmingly exceeded expectations. 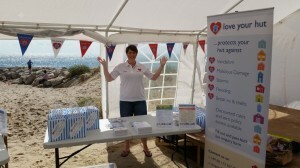 Visitors to the Love Your Hut stand received a warm welcome, a goody bag and a friendly chat. Other attendees included the RNLI on Water safety, the Fire Service, Coast Guard, Police and Community Guard and Barnardo’s arts and crafts. A mini sports day facilitated by Frinton and Walton Swimming Club was great fun. Feedback from families attending on the day was excellent, something positive for the community and great start of the summer holidays. The Frinton Beach Hut Association now hope to make the Summer Fun Day an annual event and Love Your Hut will be proud attendees. 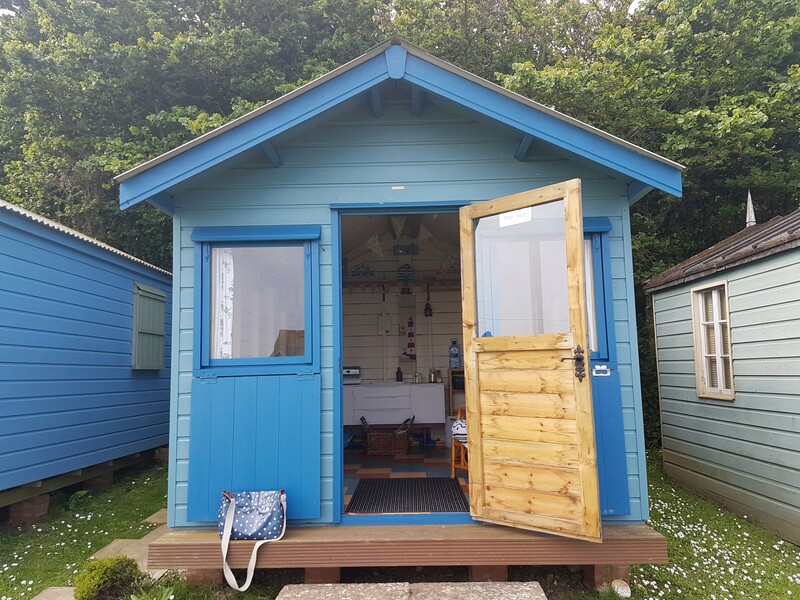 Love Your Hut are pleased to announce that our Easter Offer of a year’s free insurance, was won by Mrs W of Widewater Beach, who commented “I am delighted to have won and the prize will help finance some repair work and painting of the hut”. It’s that time of year again, Spring has sprung and there is no better time than now to prepare for the new hut season. It’s been another winter of storms, with some very strong winds and tidal surges, so there may be some maintenance needed to your hut. 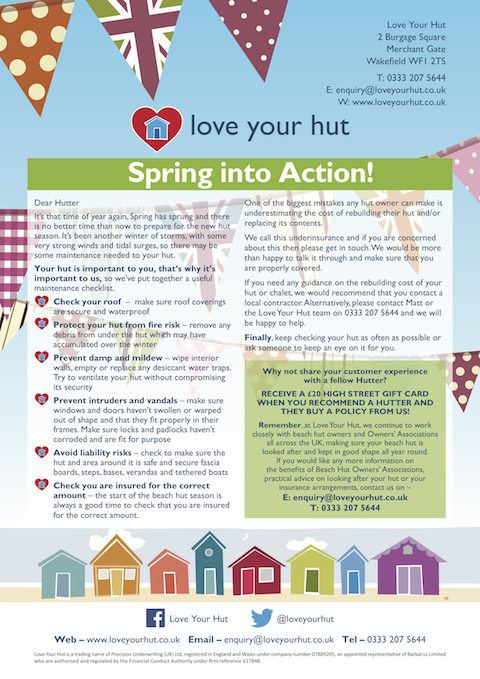 Simply click on the picture to view or download Love Your Hut Spring Newsletter. “Our beach hut is run by our Gully’s Place Charity. Gully’s Place is a special place on the Children’s Unit at Poole hospital that allows us to care for children and their families with privacy and dignity at the worst time of their lives in hospital and at home. Most people imagine that children come to hospital, we make them better and they go home. This is mostly a true assumption and only part of our work. You may be surprised to know that we have around 400 children across Dorset who have complex life threatening conditions, who will never get better and who will die before they reach adult hood. There are an average of 40 children who die each year across the county. Gully’s place supports these children and their families along their journey, making it as smooth as possible, from diagnosis to death, in hospital, at home and beyond, also offering bereavement support for their parents for as long as they need it. Gully’s offers choices for children approaching end of life in hospital or at home and is also used to give families confidence to care for their child with very complex medical needs before they go home. Gully’s Place is a registered charity under the umbrella of Poole Hospital’s Wish List charity no. 1058808. Love Your Hut is proud to support Gully’s Place Charity. It’s time to think about taking care of your hut for the winter months. 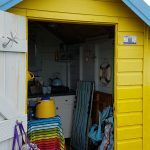 We’ve produced a handy list of hints and tips to help you keep your beach hut or chalet safe, secure and in good condition, to protect it from the good old British weather. 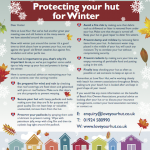 Simply click on the picture to view or download Love Your Hut’s Winter Newsletter. “I bought this as an empty shell in need of restoration, I got the structure of the hut repaired professionally but the rest I did entirely by myself, fitting it into weekends and after work. 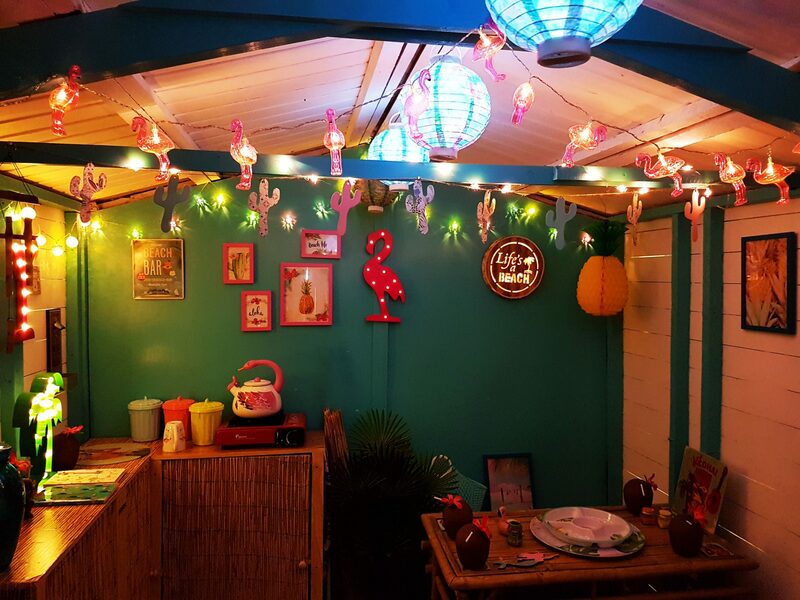 The view outside the hut is so amazing that I felt it needed a tropical theme and as I’ve always had a love of Polynesian culture I went for a kitsch Hawaiian, Tiki look, full of palm trees, flamingos, bamboo furniture and even a bamboo Tiki bar that I made myself. Luckily flamingos and tropical themes are BIG this year so the shops have been full of wonderful accessories and I have gone to town with the decorating. It’s certainly been the weather to enjoy your hut. Love Your Hut is not just about insurance! 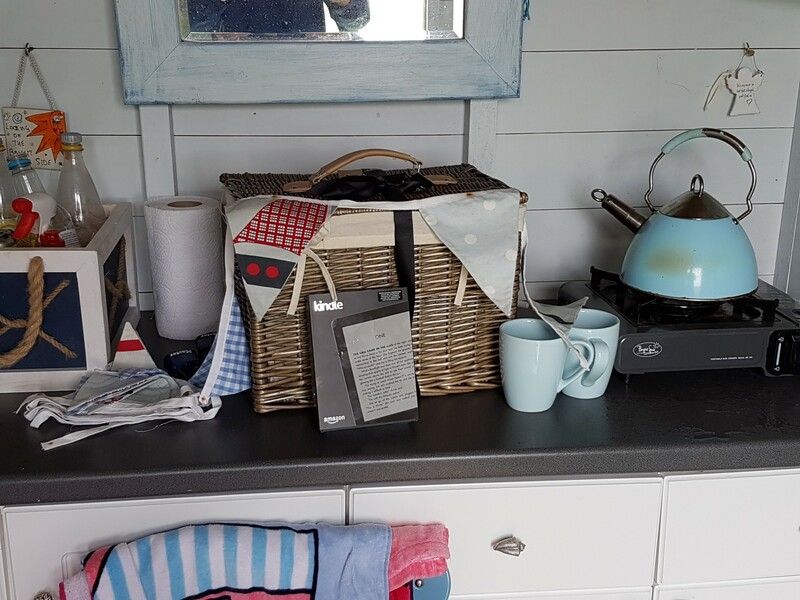 We’ve produced a handy list of hints and tips to help you keep your beach hut or chalet safe, secure and in top condition throughout the season. 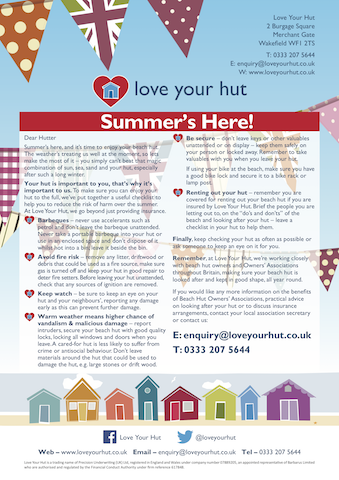 Simply click on the picture to view or download Love Your Hut’s “Summer Newsletter 2017.
needed to your hut. 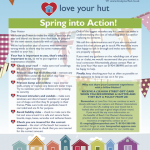 Simply click on the picture to view or download Love Your Hut Spring Newsletter. It’s time to think about taking care of your hut for the Autumn months. 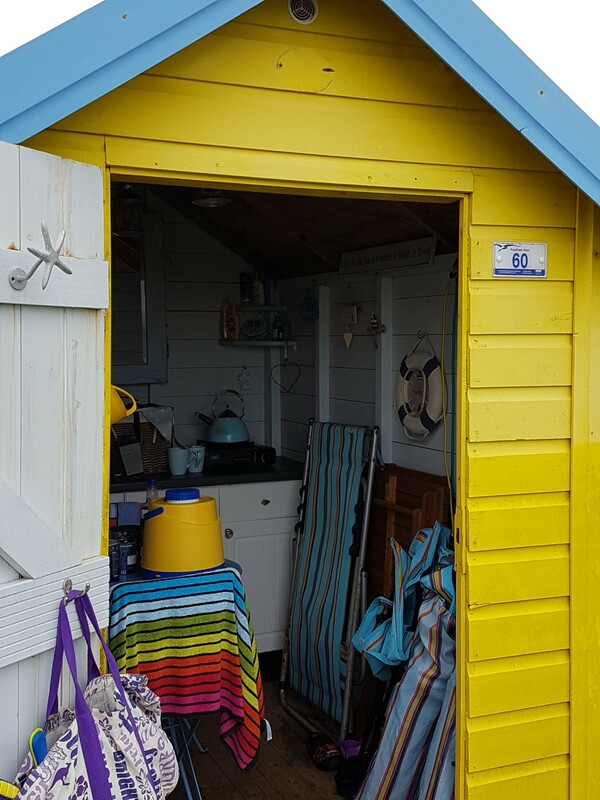 We’ve produced a handy list of hints and tips to help you keep your beach hut or chalet safe, secure and in good condition, to protect it from the good old British weather. 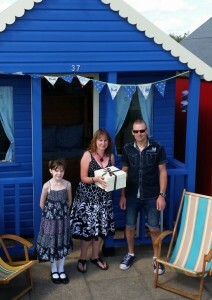 Mrs Netley was the recent winner of our Summer Offer where she won an Afternoon Tea By The Sea Hamper and a Kindle. 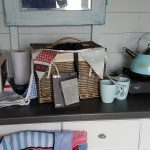 Mrs Netley commented “The Hamper and Kindle are both a lovely surprise and I really didn’t expect to win anything”. Mrs Netley’s hut is one of the many huts at Felpham. Happy hutting Mrs Netley and enjoy your prizes! Beach hut season is in full swing, and hopefully we will get some good weather to go with it. 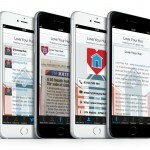 Love Your Hut is not just about insurance! Mr & Mrs Thorpe of Westward Ho! 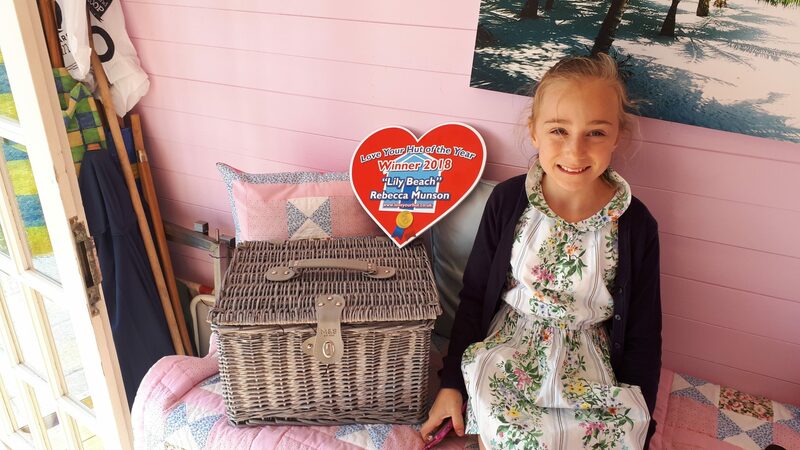 were the recipients of a Picnic Hamper after winning our Spring Offer! They were both delighted with the prize & commented that “it will be very useful for our visits to our Hut”. It’s time to get your hut ready for the hutting season, many of you will be visiting your hut for the first time this year. 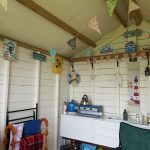 We know you want to make the most of your hut during the year so we’ve put together a useful checklist for you to help get it ready for the season ahead. Click on the image to open our latest newsletter. It’s time to think about taking care of your hut for the winter months. 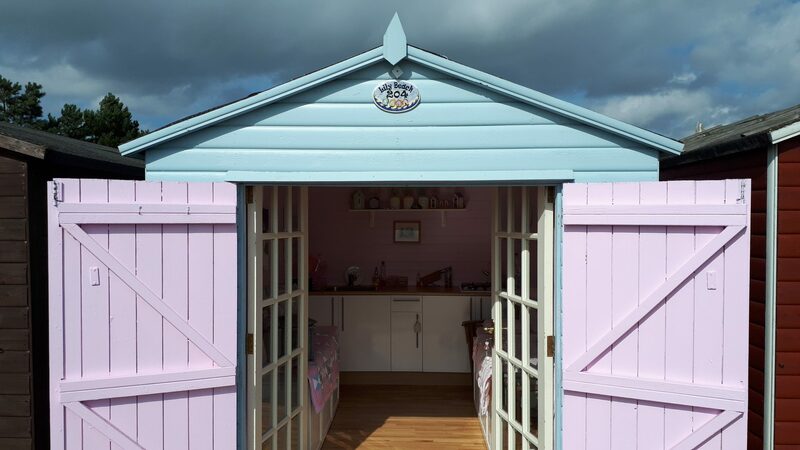 We’ve produced a handy list of hints and tips to help you keep your beach hut or chalet safe, secure and in good condition, to protect it from the good old British weather. Love Your Hut has donated a year’s beach hut insurance to Surrey-based children’s charity Momentum (www.moment-um.org). 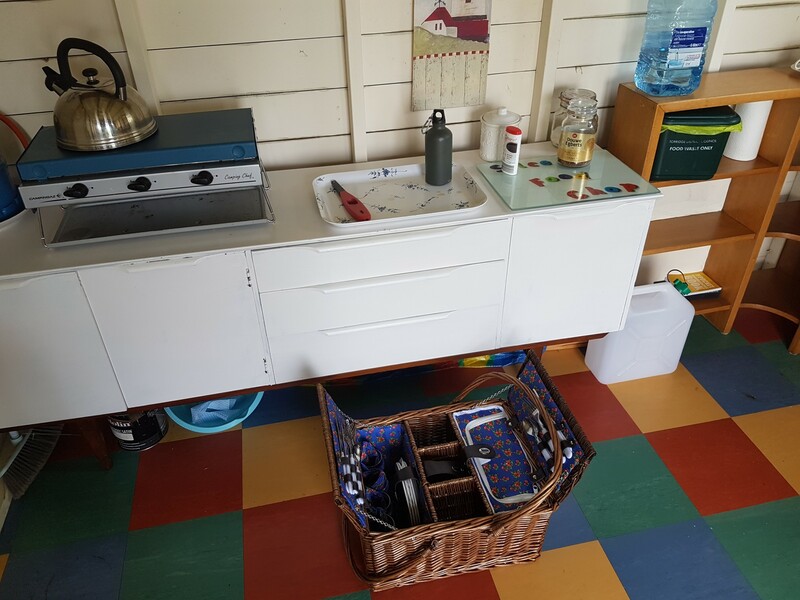 The charity recently acquired and renovated a hut in Milford on Sea, Hampshire, as part of their work to help children, and families of children, undergoing treatment for cancer. 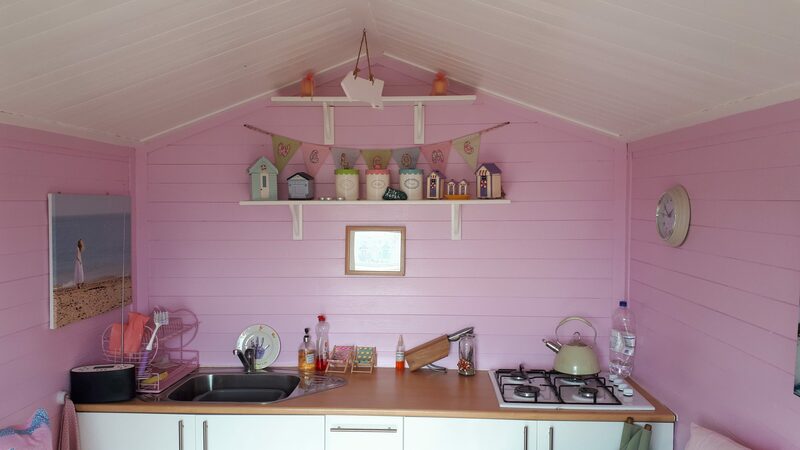 It’s hoped the hut (pictured), along with the charity’s two other holiday homes in nearby Shorefield Country Park, will give children, their parents, siblings and even grandparents the opportunity to spend time together in a happy and relaxing environment. 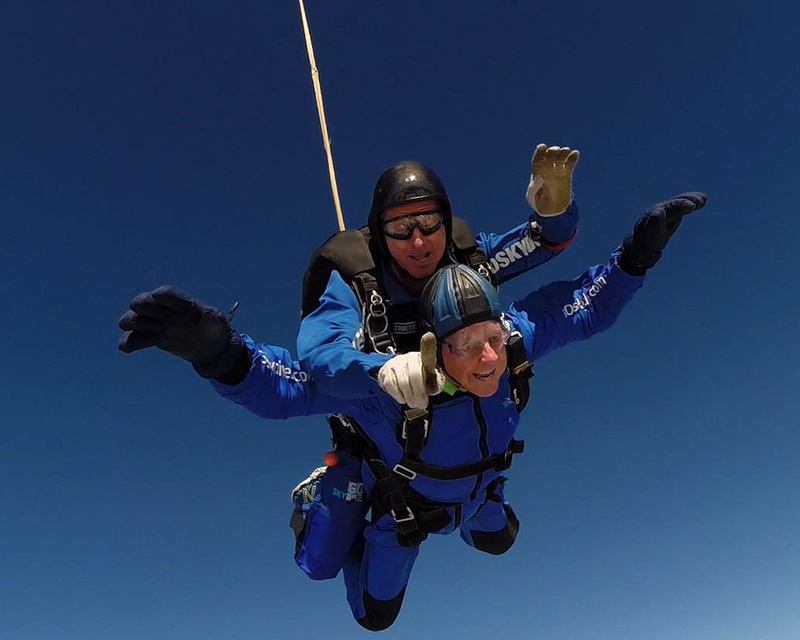 The chairman of Fareham Beach Hut Association, Percy, who will be 82 in November, made a tandem skydive on behalf of Prostate Cancer UK on Sunday 27 September at Old Sarum Airfield near Salisbury from a height of 10,000 feet. Click here for a copy of his poster and if anybody is able to sponsor him that would be much appreciated. If anybody prefers to pay by cheque, they should be made payable to Prostate Cancer UK and sent care of The Secretary at 11 Funtley Lane, Farnham, PO17 5EH. 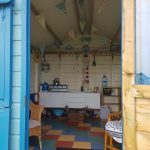 Beach hut season is in full swing, so it’s worth remembering that Love Your Hut is not just about insurance! And we’d love to see your hut too… enter our Love Your Hut of the Year competition and you could win some fantastic prizes. We’re accepting entries until 21st August, so click here to join in the fun! 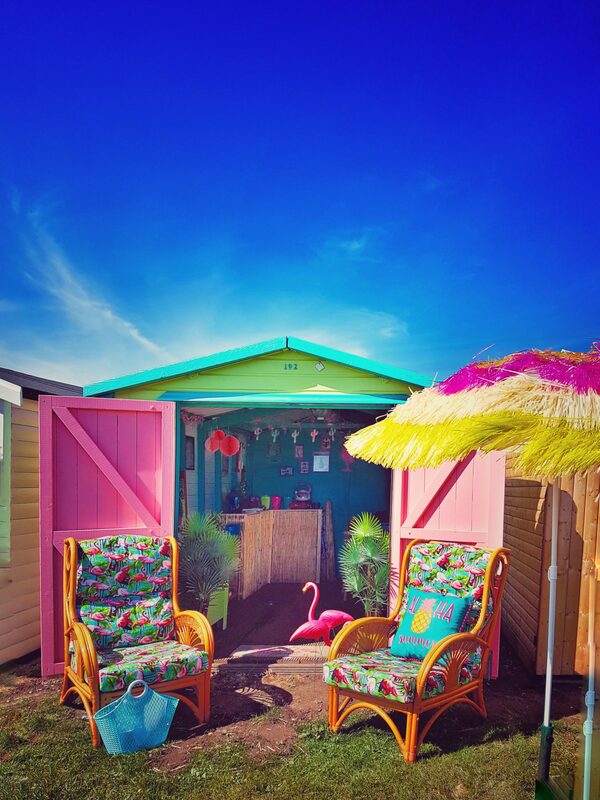 Love Your Hut are proud to announce the launch of the WORLD’S FIRST beach hut mobile app! Aimed at bringing us closer to the UK’s Hutters, it’s full of useful information, social media links and can even help out if you’re unfortunate enough to have a claim. Instal it on your smartphone today and check it out. It’s completely FREE of charge, and is available exclusively via https://loveyourhut.appsme.com. 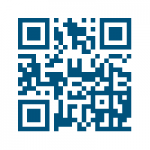 Simply type this address into your phone’s web browser, or scan the QR code below with your phone, and follow the on-screen instructions. If viewing this page on your smartphone, tap the button below to take you directly to the install screen. Don’t forget to share it with your fellow Hutters too! “Thank you Matthew for such a good service, you deserve to be recommended.” – Mr D Poole, Southend on Sea, 28th Feb 2015. Congratulations to hutter John Busbridge of St Leonards, East Sussex, who won the Prize Draw in our Winter Special Offer. John and his wife took out a new policy with us on the back of the offer, and so were automatically entered into the competition. Scooping the win, they received a year’s FREE beach hut insurance plus a hamper of goodies and £20 in Marks & Spencer’s vouchers. 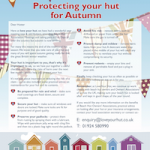 “I have now been with Love Your Hut for a year and have just renewed my policy with them. 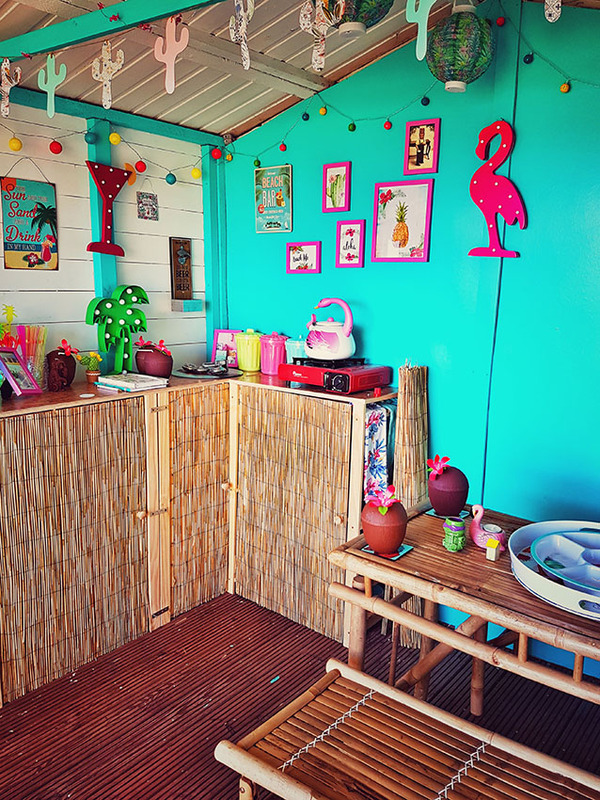 I will certainly recommend Love Your Hut to other Beach Hut Owners” – Mrs Fisher, Felixstowe, January 2015. Goring Beach Huts and Love Your Hut are proud to have helped Chestnut Tree House Hospice. Keith Richardson of Goring Beach Huts donated a brand new beach hut at Worthing for the use of Chestnut Tree House. 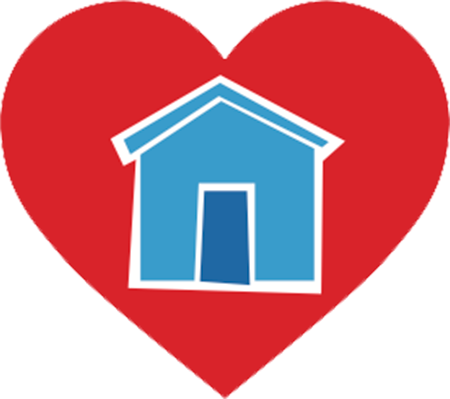 Love Your Hut are proud to provide the insurance for such a good cause, free of charge. 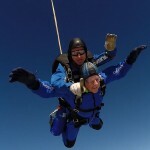 Have a look at www.chestnut-tree-house.org.uk to see what Chestnut Tree House do, it’s a great cause to support. 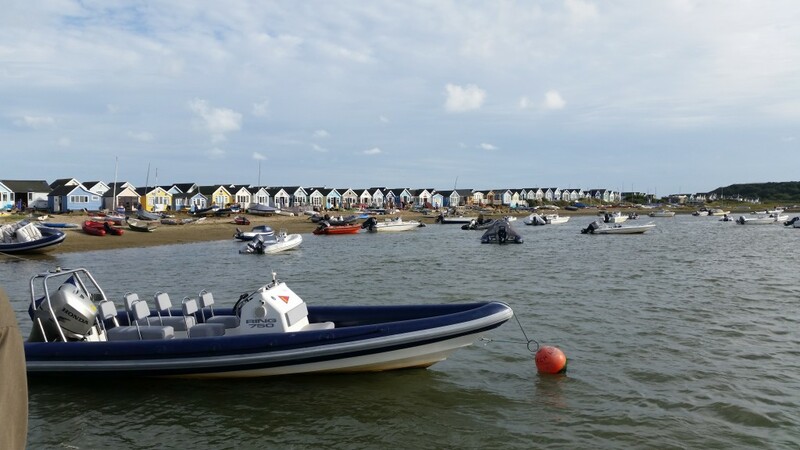 This was a great event, which involved being at the heart of all the huts on Mudeford Sandspit and Love Your Hut was proud to support the Mudeford Fun Day. The weather was kind and there were many people at their huts, enjoying the weather and the activities that were on offer. Activities included face painting, a tombola, a sandcastle competition, a lucky dip, a BBQ, a tug of war contest, sprint racing and a talent competition. Love Your Hut was in the main marquee and we had a steady stream of Hutters coming to speak to us and enquiring about the Love Your Hut offering. It was great to meet so many of our clients, who are happy to recommend Love Your Hut. Clare, set up for a day of fun. 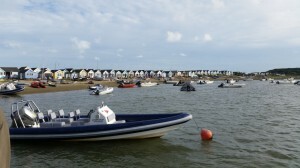 Mudeford rests after the Fun Day. All our goody bags went, the children loved them, particularly the rock. We are already looking forward to the 2015 Fun Day. “It was really great to talk with someone who shares a passion for Huts and has a sensible approach to insurance. Thanks for your help and advices.” – BB, August 2014. “Thank you for the policy details. I have printed this and will hold it on file. It was a pleasure doing business with such a helpful and efficient person” – Mr and Mrs Bull, Frinton on Sea. “I was pleasantly surprised by your excellent service. 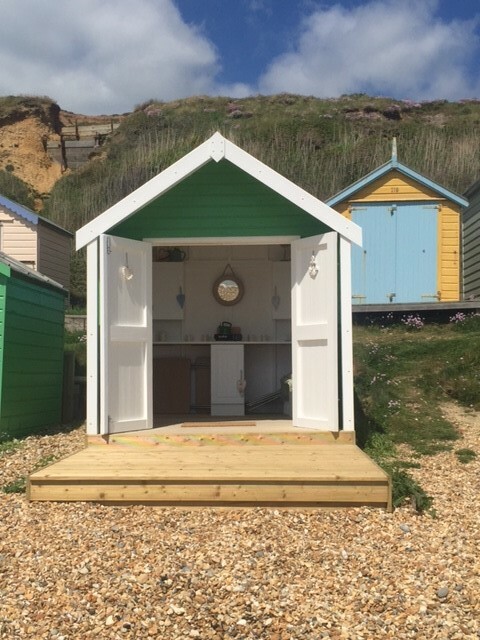 Thank you so much for some fab advice & great customer service, which included details of the local Beach Hut Association” – Miss G Citrioni, West Sussex. “I found the service offered by Love Your Hut was excellent! Competitive pricing, clear and helpful advice, good subject knowledge. I would highly recommend them to others” – Mrs J King, Bournemouth. 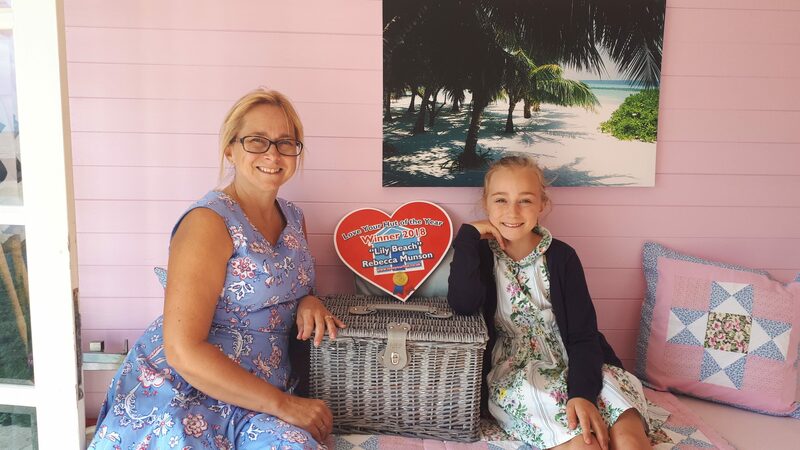 Congratulations to the Carrott family from Lincolnshire who entered our recent competition open to all new policyholders who purchased a Love Your Hut beach hut policy on or before the 18th July 2014. 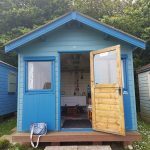 The Carrott family won a year’s free beach hut insurance providing peace of mind for their beautiful beach hut at Sutton on Sea. In addition to refunding the premium for their new policy, Matt Briggs from Love Your Hut was also there to present the family with a luxury Bettys hamper, “It was a pleasure to meet our winners and I must thank them for their lovely hospitality and the warm welcome I received”. Delighted with their prize Mr & Mrs Carrott had the following message for Matt, “Thank you very much for the lovely hamper. We have been enjoying the scones and the fondant fancies which we shared with some fellow Hutters. If you entered our prize draw you will also have won, with every entrant receiving a £20 M&S voucher to acknowledge their support. Please look out for further offers, competitions and our everyday competitive pricing. 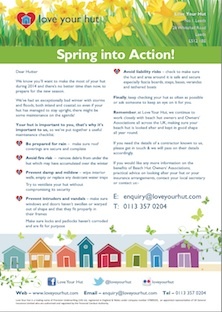 At Love Your Hut it’s not just about insurance… We know you’ll want to make the most of your hut during the summer so we’ve put together a useful checklist for you to reduce the risks of harm over the summer, so you can enjoy your hut even more. Click on the image to open our latest newsletter. 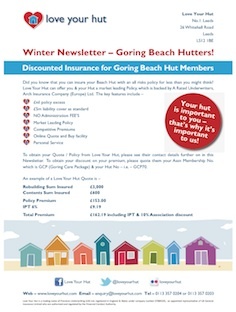 “Recently I had to arrange insurance for our beach hut so I contacted ‘Love Your Hut’. The service I received from them was first class, being extremely helpful with their advice on the level of insurance I required, the premium being charged accordingly. I have therefore recommended ‘Love Your Hut’ to other owners who have still to arrange insurance for their beach huts.” – Mrs S, Herne Bay. “I was very impressed by your prompt and courteous attention when I submitted an online quote request last week; getting a personal telephone call (from a real human being) back so soon definitely made a good impression! And you have matched it with your helpfulness this afternoon. Thanks very much.” – Robert Slipper. “I can only say how delighted I am at the service levels. My claim was processed very quickly and very helpfully by the team. All the staff I dealt with were very knowledgeable, caring, polite and punctual. I would recommend anyone to use Love Your Hut.” – Mark Craven. 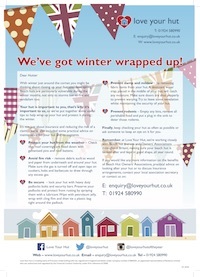 At Love Your Hut it’s not just about insurance… We know you’ll want to make the most of your hut during 2014 and there’s no better time than now, to prepare for the new season. Your hut is important to you, that’s why it’s important to us, so we’ve put together a useful maintenance checklist. Click on the image to open our latest newsletter. “I have dealt with Matthew over the past 3 – 4 years and he has also taken the time to visit me and discuss things in person that will benefit my Beach Hutters. He has always been open and honest with me and has supported me in the issue of literature to my Hutters. 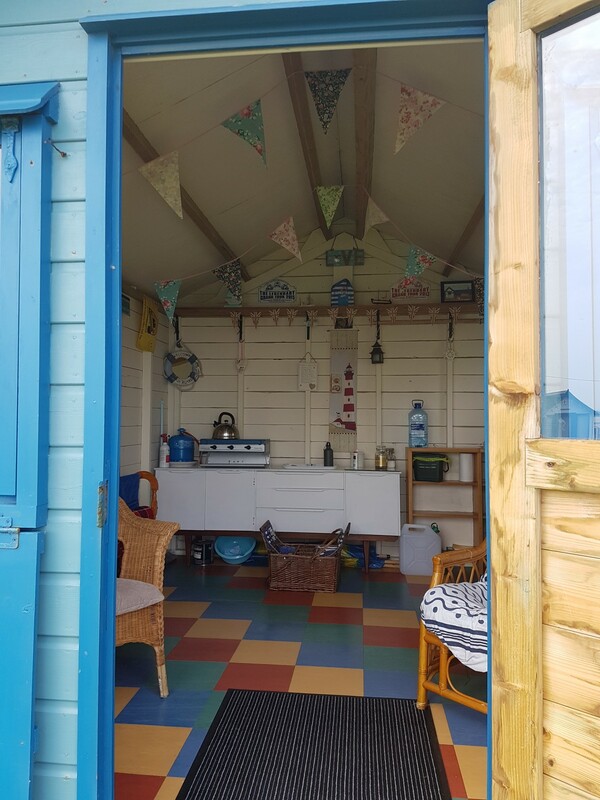 I have built up a good working relationship with Matthew and value his commitment to the Beach Hut Community.” – Mr K Richardson, Worthing Beach Huts. “The SBHOA Committee are pleased to add LYH (Love Your Hut) beach hut insurance services to our list of recommended services and traders. 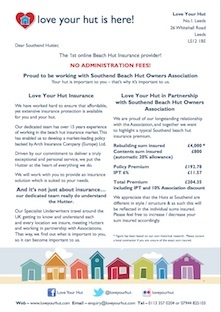 Its staff are already known to us and have served our Members well in beach hut insurance under a different name. 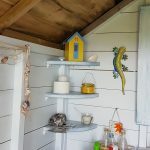 We feel sure that the new service they are offering will be to an equally high standard and we would suggest that Members might like to compare and consider them when renewing or taking out beach hut insurance.” – Ian Robinson, Membership Secretary & on behalf of the Southend Beach Hut Owners Association Committee. Click on the image for a link to a recent news article. 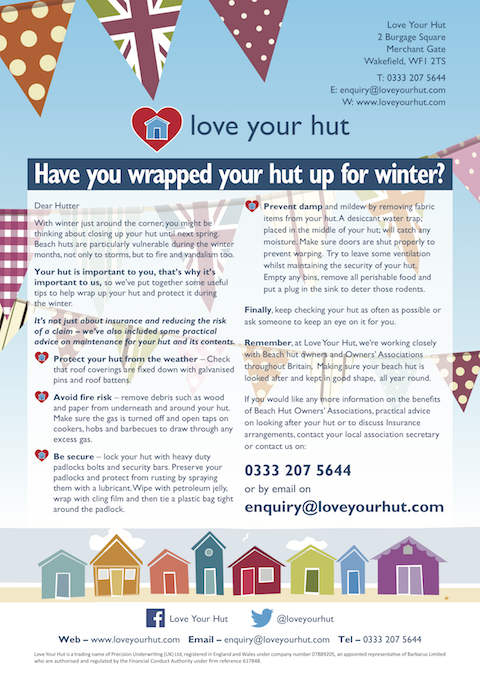 Love Your Hut work with new and existing Beach Hut Owners’ Associations across the UK. One such example is Heacham BHOA who formed in 2013. 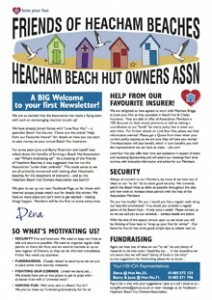 Just look at Heacham BHOA’s first newsletter (click image to download), which we were proud to sponsor. 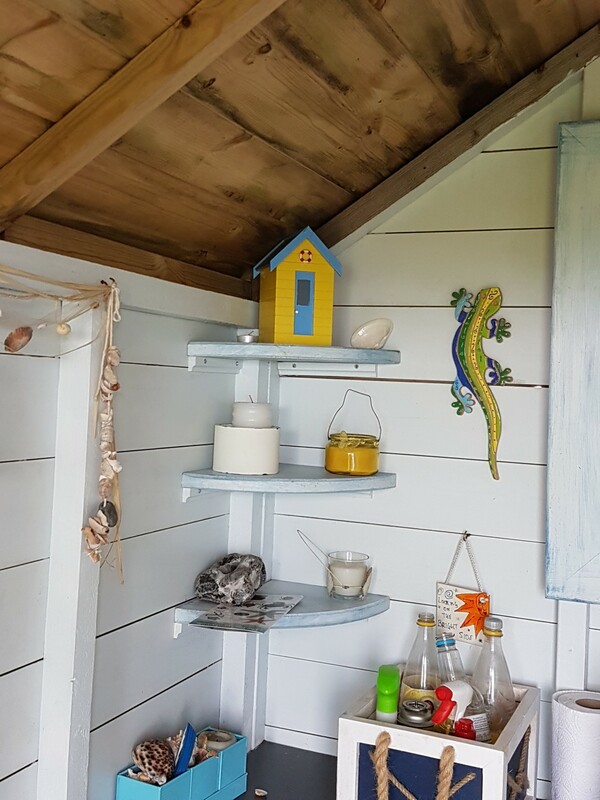 “I find it such a refreshing change, in these days of huge businesses and call centres, to be able to build a relationship with a company and to have the opportunity to work together to the benefit of both parties.” – Dena Patrick, Heacham Beach Hut Owner’s Association representative. We’ve got winter wrapped up! At Love Your Hut it’s not just about insurance… We are working with individuals and associations around the country – listening and responding to their needs – making sure we deliver the very best in products and services to you. Click on the image to open our latest newsletter.